The Chattanooga Area has 11,000 hotel rooms. There are more than 2,500 hotel rooms connected to the Chattanooga Convention Center via the free downtown electric shuttle. 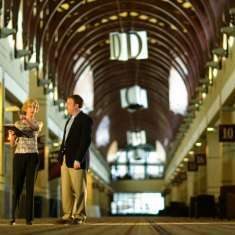 The Chattanooga Convention Center has 185,000 square feet on one level. 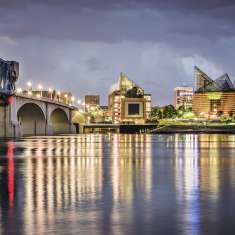 Chattanooga is known as the "Gig City" with the world's fastest internet speeds. 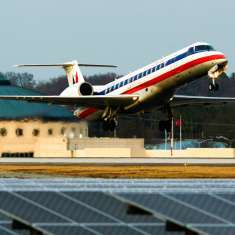 The Chattanooga Airport offers non-stop and one-stop service to more than 1,000 destinations worldwide. Within a 3-hour drive of 10 million people and within a day’s drive for half the nation’s population, Chattanooga is easily accessible via 3 major interstates. 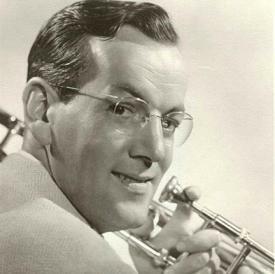 A 1941 recording by Glenn Miller and his orchestra became internationally known for the 1941 gold record song “Chattanooga Choo Choo”. Built in 1891, The Walnut Street Bridge is the oldest surviving example of the Camelback Truss Bridge. "The Walking Bridge" is the second longest pedestrian bridge in the nation. In May 2011, Volkswagen Group of America opened its Chattanooga Assembly plant which doubles as the group’s North American manufacturing headquarters. And in 2014, VW announced it will double the size and productivity of the Chattanooga plant and produce a second vehicle. is the home of the International Towing and Recovery Hall of Fame and Museum. Garnet Carter invented Miniature Golf here in 1926 on Lookout Mountain and later went on to develop Rock City Gardens leading to the world’s first franchised Coca-Cola bottling plant being built in Chattanooga by two local attorneys. The first MoonPie was made at the Chattanooga Bakery in the year 1917. Many famous people were born in or live in Chattanooga, such as famous blues singer Bessie Smith, R & B singer Usher, actor Samuel L. Jackson, actor Leslie Jordan and NFL players Reggie White and Peyton Manning, to name a few. Contact Us today or fill out an RFP and give your group the change to experience Chattanooga!